After Jadeite’s death in the anime in episode 13, the task of seeking out more energy for the Dark Kingdom fell upon Nephrite and his astrology-inspired plots to acquire as much energy from one person at their peak rather than many people at large, as his predecessor had tried. Even more unlike Jadeite (and even the rest of the four kings), he actually created a human persona and directly interacted with the sailor soldiers and supporting cast.1 Making his debut as Masato Sanjouin (三條院正人), he poses as a young business entrepreneur (though his business is never explained) who owns a mansion somewhere on the outskirts of Tokyo and an expensive sports car. On the topic of that sports car, now is as good of a time as any to mention that the design used in the anime was taken off of a real-life vehicle, and a pretty impressive one at that. 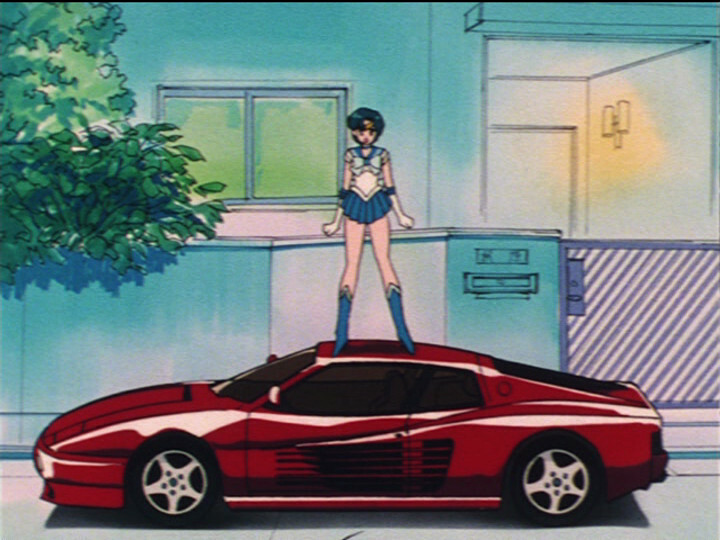 The model for the car used was the Ferrari Testarossa and, more specifically, the 512 TR model.2 What’s even more impressive about this is that the episode in which Nephrite’s car debuted first aired on June 13, 1992 — just three months after the car was first unveiled at the Geneva Auto Show in in March of the same year.3 The writers and art directors of the Sailor Moon anime were clearly on a rushed schedule as it is, and this definitely shows the very short lead time they must have been working with. The car cost over 20 million yen when it first came out in Japan and, as an import model in an increasingly weakening Japanese economy, would obviously be a pretty rare sight at the time, though apparently according to an interview, Ms. Takeuchi remarked that when she moved into her new apartment / workspace, she was surprised to see that one of the other residents there owned a bright red Ferrari. 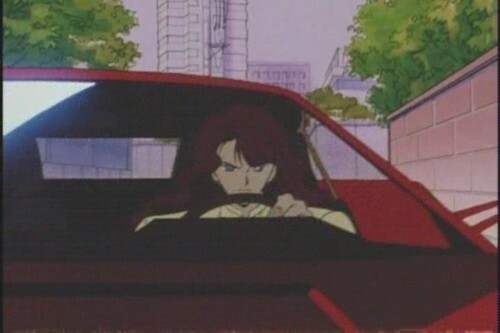 Though her involvement in the anime on an episode-by-episode basis seems to have been relatively minor, her love for cars is well known and appears multiple times throughout the series,4 so this experience may have been a partial inspiration for Nephrite’s car in the anime. Finally, where does his assumed name, Masato Sanjouin, come from? Well, the best that I could come up is the partial play on the kanji in his first name, 正人, though it’s a pretty common name and doesn’t mean anything in its own right. The two kanji, taken individually, mean “True” and “Person.”5 As the alter ego of an enemy, the irony is definitely there! 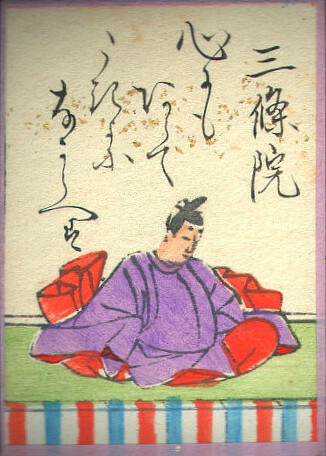 Now for his last name, 三條院, this is unfortunately all pure speculation, but after researching it further, the best I can come up with is that it’s likely a reference to Emperor Sanjou who reigned from 1012 to 1016. After his death, he was given the posthumous name of Sanjou-in, in reference to the palace where he spent his last days.6 While an emperor who reigned for a mere 5 years before going blind seems like an obscure and unlikely reference, though there may actually be something behind it. Read also: How Did the Moon Frisbee Become the Moon Boomerang? I will find myself longing for the sight of the midnight moon. Taken in context from the point of view of a villain soon to be redeemed by learning of the power of love, I’d say that these are pretty fitting words and a great hidden — if obscure — reference for Nephrite’s human side. Put into this context, it definitely puts a more interesting spin on Nephrite’s outlook when we went out to engage with the humans he set out to steal energy from. Who would have known that Nephrite was already a hopeless romantic before he even met Naru! ← What Does Ami’s 300 IQ Score Actually Mean?